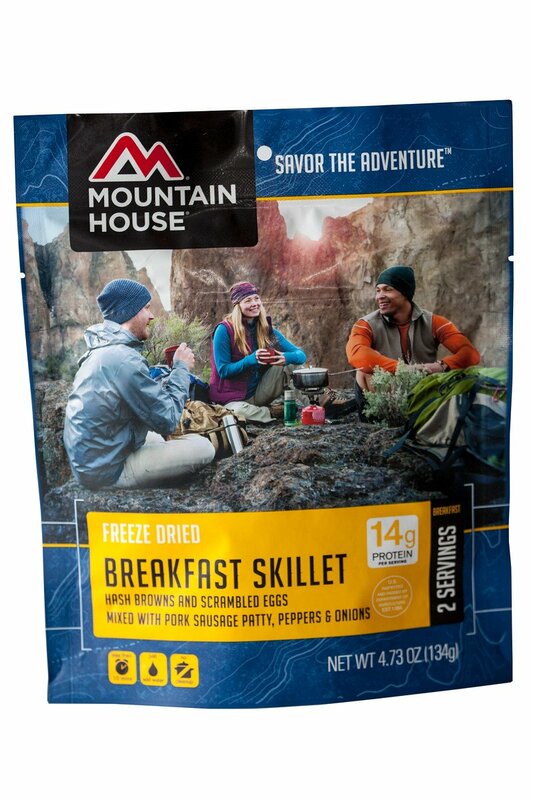 Hash browns, scrambled eggs mixed with pork sausage, peppers and onions for breakfast even as backpacking? 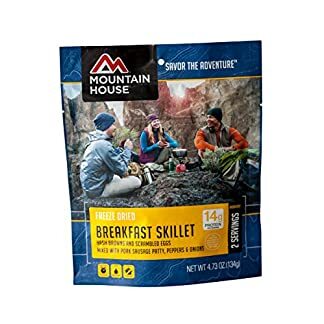 Mountain House Breakfast Skillet is one of our hottest breakfast items to bring along on the trail or to put in the pantry for a rainy day. 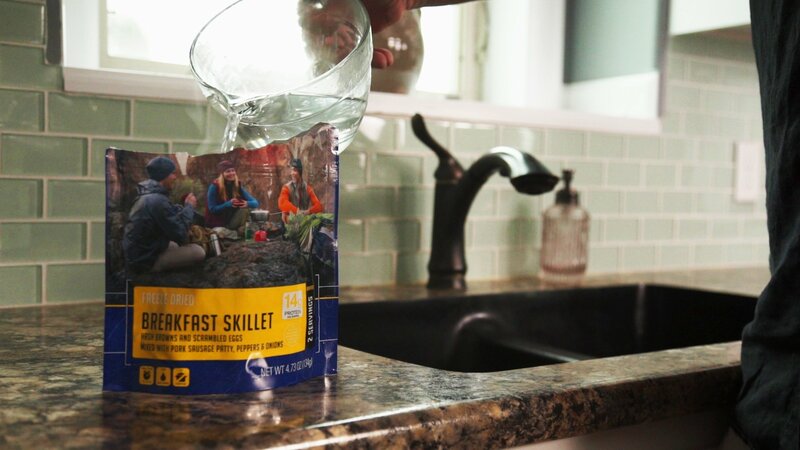 Either way, the Mountain House Breakfast Skillet is a delicious meal to start your morning off right. 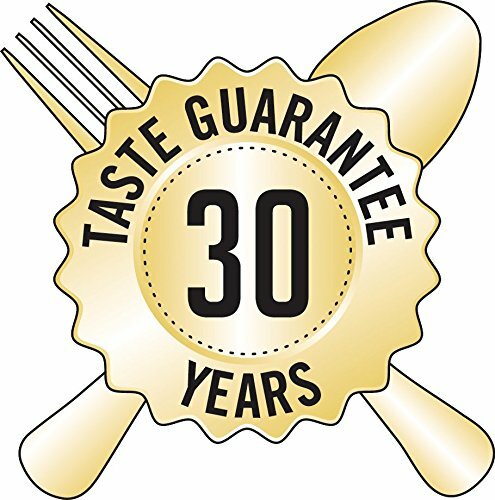 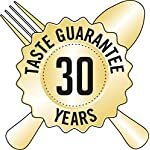 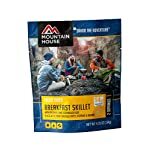 For nearly 50 years, Mountain House adventure meals have consistently been the premier choice of campers, backpackers, and survival experts. 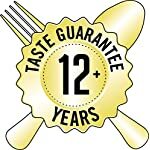 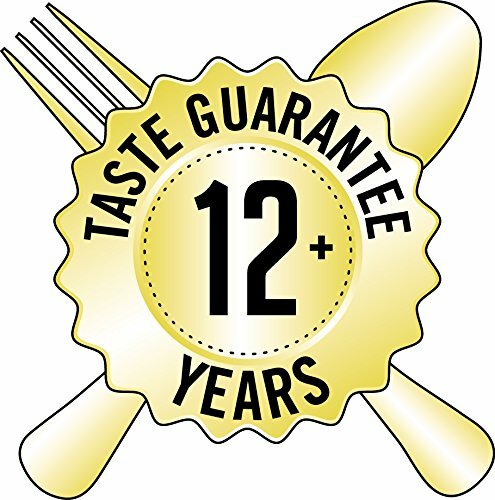 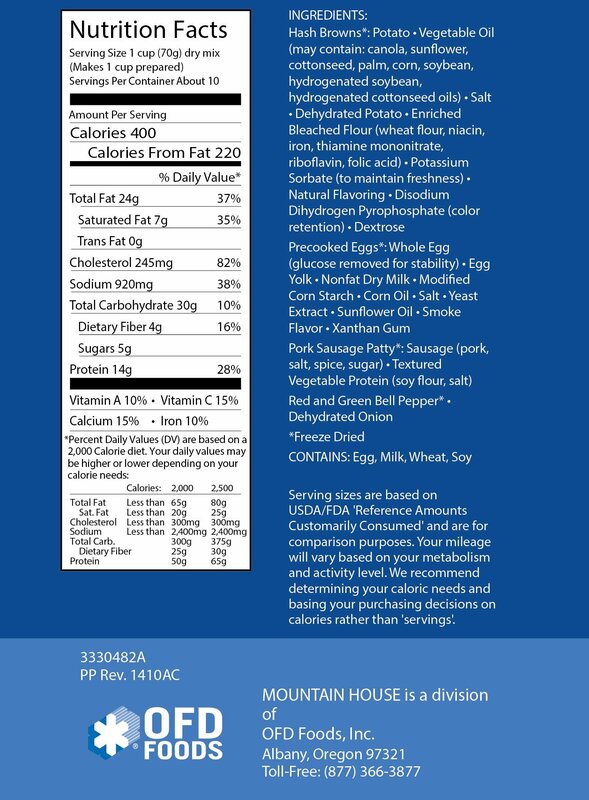 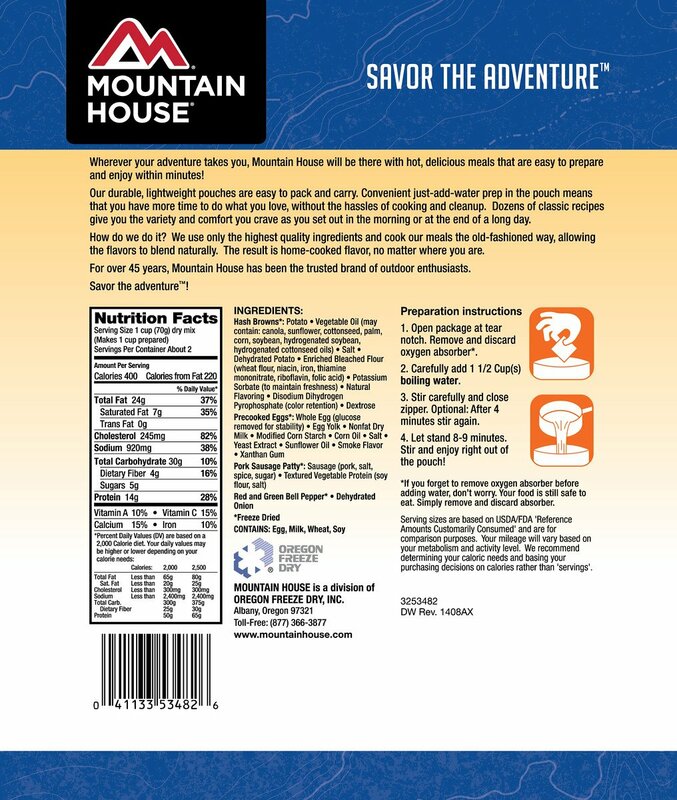 Born out of freeze-dried meals we make for the US Special Forces, Mountain House food has a proven history of reliability and most importantly, delicious flavor. 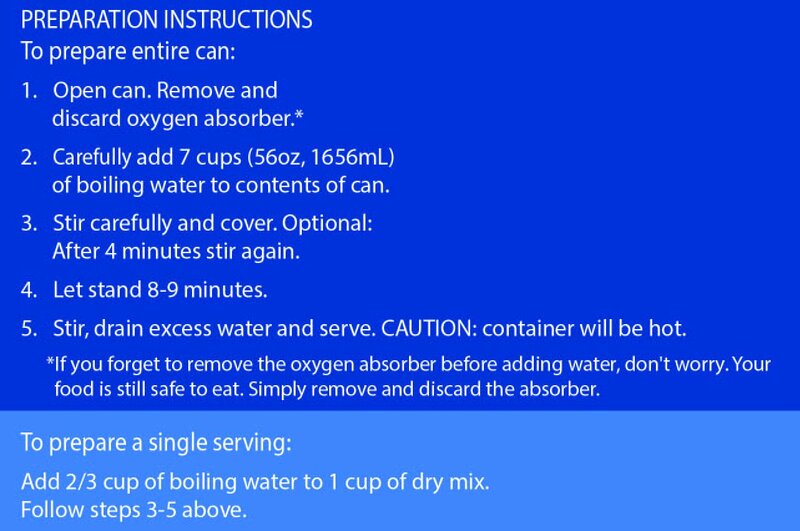 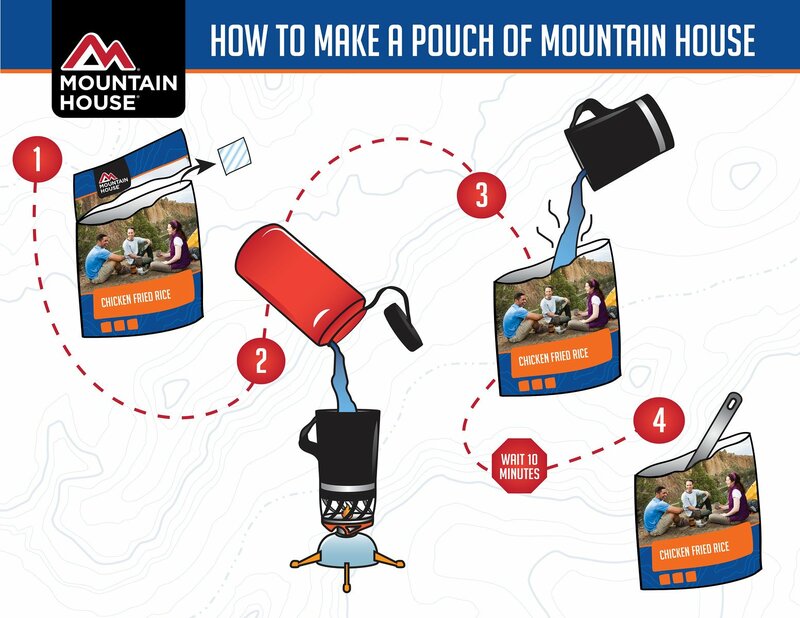 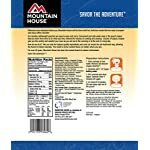 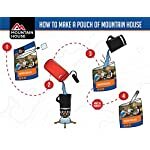 With just-add-water preparation and no-mess cleanup, Mountain House is not only the easiest camping or backpacking food but also perfect for keeping on hand just in case of an emergency. 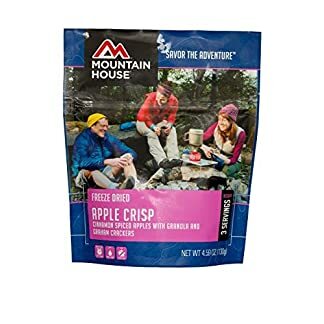 Enjoy 6 pouches of your favorite dessert in one easy to store bulk case. 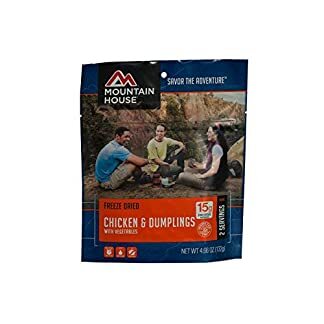 Mountain House Chicken and Dumplings is a new Southern recipe from Mountain House. 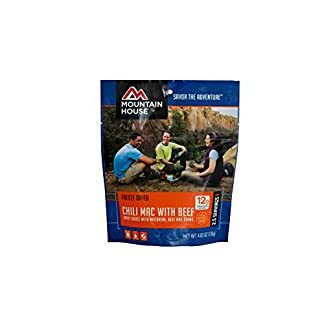 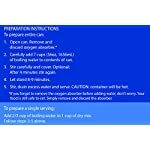 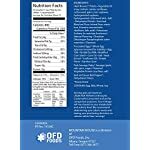 Two 1-cup servings per pouch.